The nature uses solar energy from the beginning, as one of the major energy sources and all fossile energy sources, like oil, gas or coal are pure solar energy, composted since 300 mln years. Solar energy is the most abundant energy resource on earth. The solar energy that reach the earth’s in one hour, is about the same as energy consumed by all humans in a year. The sun is the most powerful source of energy, without maintenance and recycling problems, for the next thousands of years. So let's learn to use it ! PV systems directly convert solar energy into electricity. The basic building block of a PV system is the PV cell, which is a semiconductor device that converts solar energy into direct-current (DC). In crystalline technology PV cells are interconnected to strings, to form a PV module. The PV modules combined with a set of additional components (inverters, batteries, cables and mounting systems) form a complete PV system. PV systems are modular and can be linked together to provide system power ranging from a few watts to many megawatts (MW). Commercial PV modules can be divided into two main categories: crystalline wafer based c-Si and thin films » more below in section: PV technologies. There are two main solar systems. PhotoVoltaic internationally known as PV technology and the Thermal system. PV produces electricity. Thermal system produce thermal energy, heat. Both systems on the roof can be for an layman difficult to divide. But in the core, they are two completely different systems, two worlds. PhotoVoltaic Mobile systems working autonomously mainly in 5V environment, as source of power for mobile devices, phones, gps, digital cameras etc. A typical characteristic of this systems is an flexible and amorphous solar panel, integrated as a unit within an compact solar charger. Main components: PV solar panel » charge micro controller » batteries. 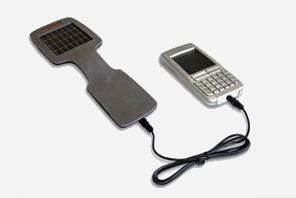 Main components: PV solar panel » charge controller » batteries. PhotoVoltaic On-Grid systems produces, converts and transfers solar electricity to local grid in 230/400V environment. Typical characteristic of an On-Grid system is the connecting and integration with a local electric grid. On-Grid systems can be used as source of electricity for homes or factories. The user can decide to consume it's own solar electricity or transfer (sell) electricity to the local grid. Both processes can be handled simultaneously. Main components: PV solar panel » mounting system » cables » inverter » electricity meter. Thermal solar systems produces heat, thermal energy for heating water, supporting a home or pool heating and can be also used for producing thermal energy in industrial processes. Main components: solar collector » mounting system » solar pipes » solar group » solar heater. Within the solar industry known as PV modules (for professionals the difference is, that solar panel is an type of PV module, but without frame). Solar panels/PV modules convert solar radiation to direct current. PV modules can be produced based on several technologies: crystalline and thin-films (amorphous, CIGS). The technology of PV module has major influence on module efficiency, degradation process and price. The most common technology is the polycrystalline and for the mobile applications amorphous technology. Main components of crystalline modules are: PV cells, laminate, backsheet, solar glass cover and aluminium frame. In thin-film (amorphous) PV modules the PV-active component is sprayed on the glass and creates one unit, making this technology more resistant against shocks and microcracks. The PV modules (next to the PV inverters) are the most important component of a PV system, their stable performance is an very important determinant of quality. Nowadays an solid and High-Quality manufacturer is also important argument for smooth operation in long-time period, including the warranty. The direct current coming from the solar panels is converted by PV inverter into AC (alternating current). By PV Inverter solar electricity is compatible in 230V (single phase) or 400V (three phase) standard and electrical home devices. PV inverter enables also to consume the electricity at the location of the PV system (home, office, factory) or transfer/sell into the local grid. PV inverter works in multiple strings and uses MPPT (Maximum Power Point Tracking), enabling device efficiency up to 98%. The inverter deactivates at night and starts automatically operating in the morning, when sunlight is sufficient. It is the operations centre of any PV solar system and provides useful system information, optionally through remote bluetooth devices or LAN. Inverters depending on rated power produces single- or threephase electricity. In practice low quality of inverter technology results in burnouts, in this cases an PV inverter can be the weakest component in any PV system. The purpose of charge controllers (also called solar regulators) is to regulate the electricity from the solar panels in PV Off-Grid systems and 12/24/48 voltage. Charge controller prevent the batteries from overcharging and damage to the batteries (gassing and loss of electrolyte). A charge controller is used to sense when the batteries are fully charged and to stop, or decrease, the amount of electricity flowing to the battery. Optionally the charge controller provide also an deep-discharge protection, which will switch off the supply to the load, if battery voltage falls below the critical voltage. This prevents the battery from permanent damage and extend its life expectancy. Solar regulators are rated by the amount of current (A) they can receive from the solar panels. They operates in two mode: PWM and MPPT, can be waterproof (IP68) and individual programmable for different loads. In case of charge controller (similar like in the inverters technology) the most problem in low-quality products is the bournout problem. The solar mounting systems has to fulfill basically three tasks: solid mounting solution with all technical aspects (statics, loads resistant and simple to install). An aesthetic and unified look, related to the PV generator on the roof. But most important, especially in On-Grid and inclined roof mounting systems, is an effective ventilation of the PV generator, which can bring up to 10-15% more energy yields, annually. In-roof mounting systems are nowadays not recommended, due to non-effective ventilation of the system. Deep-Cycle solar batteries are used in PV Off-Grid systems. They are designed to be discharged over a long period and recharged hundreds or thousands of times. Unlike conventional car batteries which are designed to provide a large amount of current for a short amount of time. To ensure long life of solar batteries, they shouldn't be deep-discharged beyond 70-80% of their capacity. Discharging beyond this level, significantly reduce its life-expectancy. Deep cycle batteries are rated in Ampere Hours (Ah). This rating also includes a discharge rate, usually at 20 or 100 hours. This rating specifies the amount of current in Amps, that the battery can supply over the specified number of hours. As an example: a battery rated at 120Ah at 100 hour can supply a total of 120A over a period of 100 hours (1.2A per hour). Due to internal heating at higher discharge rates, the same battery could supply 110Ah at the 20 hour rate (5.5A per hour for 20 hours). In practice, this battery could run a 60W 12V-DC TV for over 20 hours before being completely drained. There are many factors that can affect the performance and life of a battery bank (storage temp., system voltage or battery technology). It is highly recommended that you speak with an experienced solar power system installer or solar battery provider prior to making any battery purchase. Solar batteries (accus) are an very important component of any PV Off-Grid system, where similar like the charge controllers, low-quality products are common reason for disfunction of whole system. Solar thermal collector are designed to collect heat by absorbing sunlight. Solar collectors are typically used for supplemental water and space heating in residential and commercial buildings. A collector is a device for converting the energy from solar radiation, in usable or storable form in solar heaters. Thermal solar collectors fall into two general categories: flat plate collectors and evacuated tube collectors. The optical efficiency in thermal solar collectors is about 80%. Beside the efficiency an very important feature is the physical resistance and solid construction. High-Selective absorber ultrasonically or laser welded, in full-aluminium frame construction, without screwed elements. All this have significant importance for trouble-free working under 2-6 bar pressure, range of temp. -30/+300°C in long period 20-30 years. Solar tank/heaters are designed to storage heat from the solar collectors, but can be also connected to other external source of heat power (heat pump, gas stove, etc.). Solar Heaters fall into two main categories: bivalent, with two coils (solar and external heating) and buffer heater/tanks with integrated water tank. Both heaters systems prepare hot water, but the buffer tank can support additionaly floor heating. There are also stainless steel and enameled solar tanks/heater. And while stainless steel is unquestionable a precious and long life material, due to high operating temp (around 80C) and dynamic temp fall it comes to microcracks (stainless steel is quite inelastic material). Enameled heaters handle much better high temperature differentials, are more resistant against contractility. The solar group consists of control unit (LCD-based), temperature sensor, solar pump, manometer, thermometer, safety valves, and connection to transfer solar fluid and pressure vessel. The solar group manages the circulation of solar fluid in the system, and stop the circulation when the max temp. at approx. 80°C in tank/heater is reached. In the practice important features are: fluent automatic pump control speed (50-100%) for better energy yields in cloudy weather or winter. And reversal circulation, possible via flat plate collectors, for cooling the solar tank/heater in summer under absence of householder eg. vacation, the system works at day normally but at the night circulate the heat, cools the tank/heater through the solar collectors, this brings relief for temp. and pressure in the system, while hot water not needed. A solid solar group enables function of several solar diagrams, support three-way valves, two solar pumps or tanks/heater, pool solar heating/exchanger and two sections of solar collectors (on different roof sections). Other features are an anti-legionella protection, frost protection (if not frost-proof solar fluid) and statistics on energy production. But the most important thing is, to work trouble free for many years. Current commercial sc-Si (monocrystalline) modules have a higher conversion efficiency. Multicrystalline silicon modules have a more disordered atomic structure and lower efficiencies, but they are cheaper. Continuous R&D on cristalline silicon technologies in public and industrial research result in a substantial cost reduction and an volume effect. Thin-Films are made by depositing extremely thin layers of photosensitive materials in the micrometre (μm) range on a low cost backing such as glass, stainless steel or plastic. The first thin film solar cell produced was a-Si (amorphous silicon). Based on early a-Si single junction cells, amorphous tandem and triple cell configuration have been developed. To reach higher efficiencies, thin amorphous and microcrystalline silicon cells have been combined to form micromorph cells, also called thin hybrid silicon cells. Another option currently being researched is the combination of single-crystalline and amorphous PV cell technology. The HIT (Heterojunction with Intrinsic Thin layer cells) technology is based on a crystalline silicon cell coated with a supplementary amorphous PV cell to increase the efficiency. In the area of II-VI semiconductor compounds, also other thin film technologies have been developed, including Cadmium Telluride (CdTe) and Copper-Indium-Gallium-Diselenide (CIGS). The main advantages of thin films are their relatively low consumption of raw materials, high automation and production efficiency, ease of building integration and improved appearance, good performance at high ambient temperature and reduced sensitivity to overheating. The current drawbacks are lower efficiency and the industry’s limited experience with lifetime performances (degradation). Increased R&D is needed to bring thin film technologies to market and to create the necessary experience in industrial manufacturing and longterm reliability. The efficiency of PV cells and modules results from the PV technology and is defined by the ratio between the amount of incident solar energy and the produced electricity (or in case of solar collectors thermal power). PV system converts directly solar energy into electricity and the efficiency indicate the amount of electricity. In practice an solar panel with 14% efficiency will produce 140W electricity from 1m2 (or 140Wh per hour from 1m2). That means: the efficiency is determined by the technology, PV technology affects the needed PV surface (mounting area). More efficient technology need less PV surface, less efficient technology more, and an 100Wp amorphous PV panel with approx. 8% efficiency will be double sized, as an 100Wp crystalline panel with 16% efficiency. There are differences between cell and panel system efficiency. If cell efficiency around 15% the whole module around 14%. Similar in thermal systems, the absorber efficiency 95% and from the solar collector around 80%. The efficiency is one of the most importand figures in the whole solar industry, but not the most importantly. The quality of the system defined by the long term stable and proven technology, is the most important. Like buying a car, the maximum car speed plays a secondary role, especially for long term usage. Is an 230Wp solar panel more efficient the an 190Wp ? If made in this same technology - No. The difference comes from the PV surface of the solar panels. An crystalline 190Wp solar panel will be build from 50 cells and a 230Wp solar panel from 60 cells. But it's also usual that PV panels with different rated power have identical surface area (size). This comes from cell sorting and their slight variations in electrical parameters, where efficiency differences may results from the cell slicing thickness in micrometre range. Then an 240Wp solar panel may be built from more efficient cells, than an 220Wp solar panel, even if the same amount and size of used cells, in both PV panels. In the PV solar industry all rated performance informations are based on the international Standard Test Conditions (STC). In definition: solar irradiance of 1,000 W/m², solar spectrum of AM 1.5 and module/cell temperature at 25°C. This conditions corresponds to an cloudless forenoon at an summer day under central european conditions. In practice an PV-Kit with 3.42kWp rated power supplies at STC 3.420W electricity. Similarly an 230Wp PV module at STC produces in realtime 230W, or 230Wh in one hour. When sunlight weaker the electricity production in realtime will decrease. At an extremely hot summer day, the sun radiation in Central Europe may range up to 1.400W/m2, in Southern Europe up to 2000W/m2, but in the same time increases the cell temperature and have a significant impact on the system performance. The higher the module / cell temperature the more bigger the efficiency loss, and amounts to approximately 0.4% per 1°C over the temperature of 25C. That means in practice, that a 100 Wp modules in a hot day and cells temp. at about 50°C will work with 90Wp power, wherein the losses results from 0.4% x 25°C (50°C-25°C) = 10W loss of rated power. Therefore PV technology enables in Europa good energy yields, due to the mild climate, in location with extremly hot weather (eg. Africa) the efficiency losses according temp. coefficient are bigger. Extremely for inverters but especially charge controllers, it can be in the winter under a strong sunshine, when the cell temp. is low but the sun reach high irradiation, similar for PV system installations in high mountains over 1,500 meters above sea level. Then up to 20% more power and voltage in the system, as according to STC. In off-grid systems the PV voltage means the Voc (open circuit voltage) and an optimal or max voltage especially in charge controllers are related with the Voc of the PV module. The actual voltage output of the panel changes as lighting, temperature and load conditions change, so there is never one specific voltage at which the panel operates. Nominal voltage allows users, at a glance, to make sure the panel is compatible with a given system. Open circuit voltage or Voc is the maximum voltage that the panel can produce when not connected to an electrical circuit or system. Voc can be measured with a meter directly on an illuminated panel's terminals or on its disconnected cable. The Voc parameter is an important figure an can't be exceeded at the allowed input at the Inverter (string) or charge controller. The peak power rating (kWp) is the maximum output according under standard test conditions (not the maximum possible output). Solar panels must withstand heat, cold, rain and hail for many years. Many crystalline silicon module manufacturers offer a warranty that guarantees electrical production for 10 years at 90% of rated power output and 25 years at 80%.